Yet another month has come and gone. With September right around the corner it means school, cooler temps and falling leaves…well for most of us in the Northern Hemisphere. 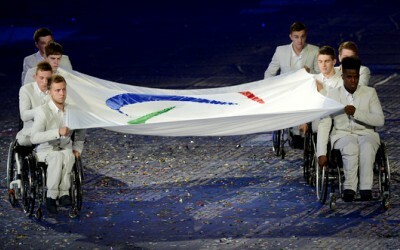 This is also a special time as the Paralympic Games are going on now. I know there are some going…not again with the gimp talk lol. Well, the thing is if you saw any of the opening ceremonies from the Paralympic Games, none of them consider themselves “gimps” at all. They are highly skilled athletes looking to do their best for their country and trying to win, not just participate. It is all about breaking down barriers and making things more convenient. How does this translate to Star Wars: The Old Republic? As someone with some limitations, I can understand the want and desire to prove yourself and to break down barriers. As a writer and a gamer, I want to be taken seriously for my skills. I know that I will probably never be the top PVP or endgame “raider,” but that doesn’t mean I do not want the chance to try. Okay, wake up this is where I get back to SWTOR, which is why I would love to see BioWare extend the UI options to allow talented members of the community to create add-ons for the game. I am not talking about cheats or hacks or even full-blown ability to play the game AFK. 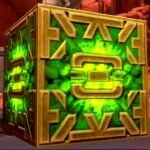 However the game does still lack some UI needs, and a system to help players create more and better keybinds for the many abilities used by every class. This would not just help players with limitations, but help others who might find the interface editor a daunting task or just plain confusing. How will this benefit BioWare? One, with the layoffs BioWare is stretched to meet content requirements…wouldn’t this free up some developers to work on other aspects of the game? Also if you create a game that is more accessible and user-friendly doesn’t it stand to reason you will also attract more gamers to play your game? Now I do not claim to know how all this would work, but I do have to ask what could it hurt? The new season is here, as it had its premiere last night the 29th, but will move to its new day and time on Saturday mornings at 9:30am EST. I have only seen the latest trailer a couple times, but this looks to be by far the most intense season to date. If you don’t know the story to date, Darth Maul is back and is not a “happy camper” after being cut in half by Obi Wan Kenobi. Darth Maul also is accompanied by his brother Savage Opress. These two seem to be wrecking havoc as the whole story seems to be getting darker, as it edges closer to where the timeline will meet with the start of Episode III Revenge of the Sith movie. Will we see what finally pushes Anakin to the very edge where we find him at the beginning of Episode III? Oh, be sure to watch the trailer for a Darth Sidious appearance and he is not just manipulating things with mere words. 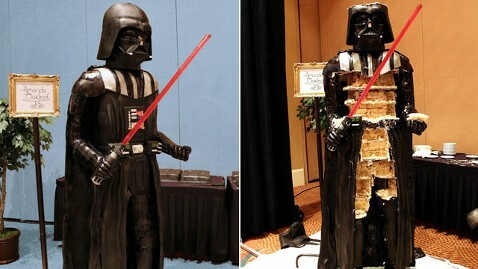 He isn’t a Dark Lord of the Sith for his good looks. What other twists in the story will be revealed…who can say, but one thing is for sure this series has lived up to everything I thought about the Clone Wars, after hearing Old Ben mention it to Luke in the original Star Wars film. This week’s Community Round-Up has some more upcoming server events. Be sure to mark your calendars for these events. Most of them look to be around the Labor Day Weekend. I need to go on one of those Datacron Hunts myself, but afraid to show-off my lack of jumping abilities. No offense to the many game developers out there, but I am not an Italian Plumber lol. 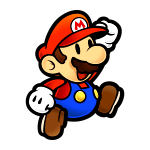 I would love to see a paper, if it already hasn’t been done, on the impact Mario Bros has had on game mechanics. If you haven’t taken a look lately in the official forums, well shame on you, well they have added a Fansite Forum now. You can keep up with all your favorite Fansites…well of course us, but the many, many others around the web. This week they are highlighting our sister site…scratch that our “brother” site (tips hat to Jeff Hollis) TORWars. This past week their podcast had an interview with lead writer Hall Hood. If you haven’t heard it, be sure to check out the thread on the official forums and take a listen. Are you new to SWTOR? Perhaps you need a tip or two that might add you on your adventures in the Old Republic Universe. This week’s Community Round-Up has a link for you from the SWTOR Subreddit. The link has lots and lots of tips…from class tips, to PVP advice, even help making & saving credits and a ton more useful tidbits. Even a very seasoned player might find one thing they did not know. Either way the link it is worth a look. Another link in the Community Round-Up is a weekly fanfiction competition. Elliotcat, the orgin for this thread will start it off with short bit of writing and then he wants others to take it from there and write as much or as little as you feel like writing. This is a great place for you writers out there to showcase your talent or all you amazing role-players to demonstrate to the community in what direction you might take the story. 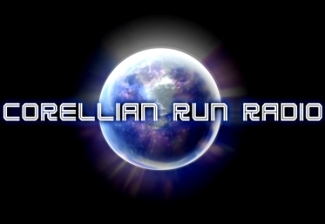 If any of you post on that thread please let us know here at Corellian Run Radio. We would love to read your contribution. Now these are just a sample of the links in the Community Round-Up this week. 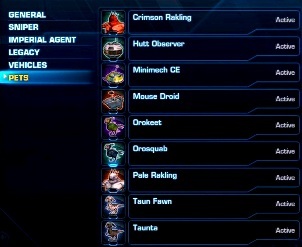 For all these and more be sure to check out the official blog post on the SWTOR website. Have you been busy with kids heading back to school or maybe you are getting moved back on campus yourself or just have not been able to see what has been going on at Corellian Run Radio…well no need to worry we have you covered. Below we have links to this week’s articles and podcast. There is also a link to our Youtube channel, where we will be adding new content in the next few weeks…stay tuned! After you finish reading the articles, listening to the podcast, and watching the videos please be sure to leave comments for our staff. We really love your feedback and discussions. We also want to hear what you would like to see more on the site. Episode 70: August Writers’ Roundtable Operation: Information – Where’s the Content?